MTV's Catfish host Nev Schulman offers to help Dina Lohan after revealing she has never met her online boyfriend of five years. 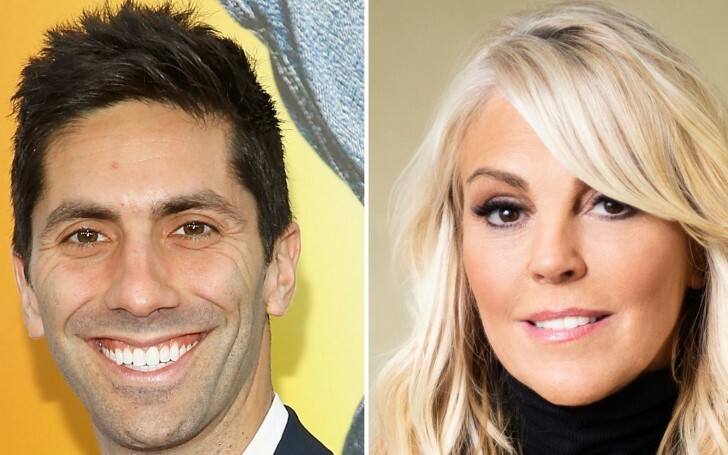 The catfish expert and internet detective Nev Schulman is on the case after Celebrity Big Brother contestant Dina Lohan made a shocking revelation to her housemates. Dina shocked her housemates; Kandi Burruss, Tamar Braxton, and Natalie Eva Marie as well as to the show viewers that she has been dating a person online for the past five years and that she is yet meet in person. Furthermore, the mother of famous actress Lindsay Lohan also admitted apart from never meeting him in person, the man also doesn't want to Face Time with her. The 56 years old reality star who seemed excited to share about her special man, confessed on the recent episode of 7th Feb. on Thursday. "I can’t wait to tell you about this guy. I’ve been talking to him for five years." "Like, every day. A lot. I feel like I know him. You know when you talk to someone on the phone, like, you feel like you know them?" Dina's housemates shocked by what they heard from Lohan quickly insisted that she was being catfished. And when asked on the chances of video chatting or face timing with her online boyfriend, Lohan dismissed saying he lives in San Fransisco and takes care of his mother. "He's real. I swear, it's crazy. But I'm going to marry him. It's really, really true. I talk to his ma! Some guys don't just use iPhones." Although Dina insisted and tried to claim her man is real, her housemates were certain she was catfished. "Lies! It’In a resps 2019, My Man. My mom is 71 and she uses it (FaceTime). I’ll come with you, but he don’t want to meet me. Catfish!" And soon after Lohan's words reached to the Catfish host, Nev, he excitedly offered Dina assistance to help her find out whether her boyfriend is real or not. "YOU GOTTA BE KIDDING ME. Let’s do this!" Dina won't know about the offer made by MTV's personality until she gets out of the Big Brother house till Wednesday, 13th February, when the final episode of the show will air. The star's current romance comes after her divorce with former husband Michael Lohan (1985 to 2007) with whom she shares four kids including Lindsay, 32, Michael Jr Lohan, 31, Cody Lohan, 22, and Aliana Lohan, 25.